Unveiled at this year’s Frankfurt Motor Show, the SEAT Leon Cupra R is the most powerful SEAT road car ever produced. Strictly limited to just 799 examples, the SEAT Leon Cupra R takes everything that we love about the Cupra range and then adds extra power, greater handling and more aggressive design. Utilising a 2.0-litre petrol engine, the long awaited Leon Cupra R sends 306bhp to the front wheels through a six-speed manual gearbox. Alongside the additional power, SEAT have tweaked the handling of the Leon Cupra R by modifying front camber and the adaptive suspension DCC (Dynamic Chassic Control). Stopping power comes courtesy of Brembo brakes whilst a new exhaust system completes the package; adding an exhaust note to match the power and aesthetic. Possibly the most obvious modifications to the Leon Cupra R can be seen on the interior and exterior of the car. Available in either Monsoon Grey or Midnight Black, contrasting copper elements can be found across the lower front lip, rear spoiler, rear diffuser, 19-inch alloy wheels and wing mirrors; these elements all adding to the unique feel of the car. Adding to the performance of the car, carbon fibre has also be utilised inside and out. Much like the exterior, the cabin features a copper and carbon fibre theme that is complimented by an Alcantara steering wheel that has been specially upholstered for the Leon Cupra R.
Whilst official performance stats are yet to be released, we’re sure that the limited edition SEAT Leon Cupra R is certainly going to be a strong competitor in the ever fierce world of hot hatchbacks – what are your thoughts? Let us know on Facebook, Twitter or Instagram. 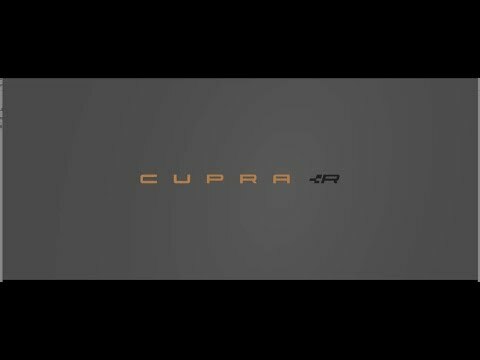 Whether in Hatchback or Estate form, Cupra offers Performance and Practicality.